Have you ever thought about how your images, videos, or ads will appear when you share them on Facebook? You would be surprised how easy it is to get it wrong. You've got a photo you want to use for your website, but there's something missing—it's close, but it's not quite perfect. How can you make a bad photo better? Is it possible? Don't fret! We've come to the rescue with some helpful hints that can turn your meh photo into magic. The short answer for most cases is JPEG. But, there is a long answer with a flow chart for those of you overachievers out there. I found this on Google Developers, and thought it might be of interest to our readers and clients, as it is a popular question. When we asked our support team what the number one thing they help our clients with, resizing images always makes it to the top of the list. Maintaining your website is easier than ever with a powerful content management system but working with images for the web can still be a little tricky. You will never guess what our support team says is the #1 question they get from our clients. Wait, maybe you've already figured it out because you read the title of this post. Yes, "How can I resize this photo for my website?" is our #1 head-scratcher of an issue, and it's high time we provided a tutorial to make resizing easier for everyone. First, here are some photo editing tools to help you do the job, if you need them. 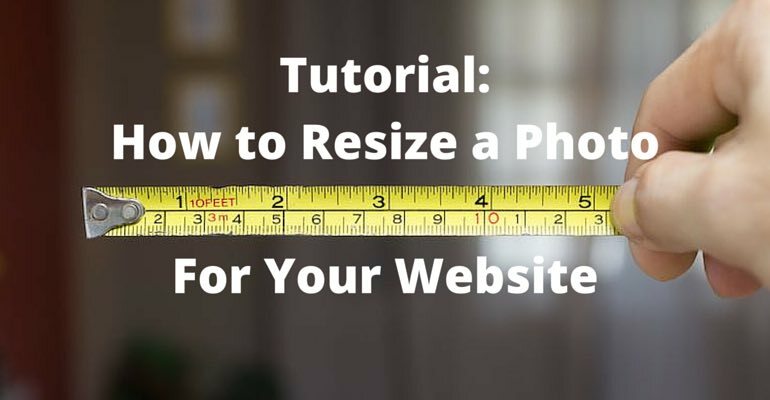 But what does it mean when someone says "I need to resize this photo." This can actually have a few different meanings. Do you ever have trouble creating PDFs or making a really big file small enough to send in an email? I discovered a handy web tool that does a ton of document handling wizardry and I wanted to share it with you. If you don't have the right software to create PDFs or to convert files, then this app is a life saver.